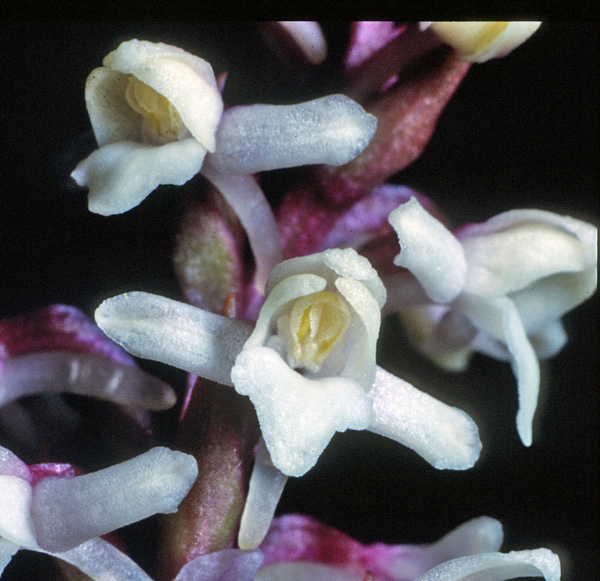 Gymnadenia odoratissima refers to the pleasant smell of vanilla. The plant grows to a height of 15 to 50 cm. It has 5 to 12 foliage leaves which are linear-lanceolate, almost gramineous. The rich inflorescence has 25 to 80 small flowers. 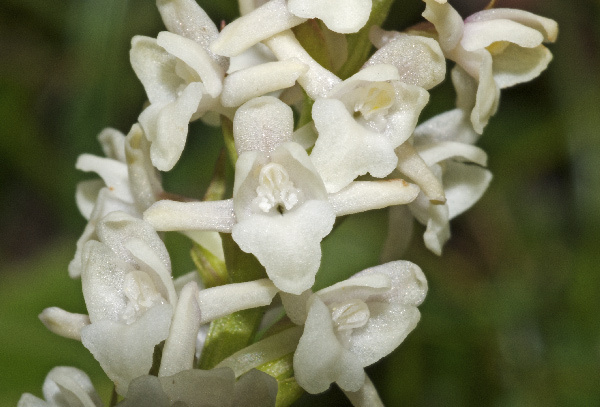 They are tightly arranged in a cylindrical form and have a much shorter spur than Gymnadenia conopsea. Petals and the middle sepal form a small hood. The lateral sepals are spreaded. The labellum is vaguely three-lobed. Louis Claude Marie Richard (1754-1821). The flowers of Gymnadenia odoratissima are mostly pale-purple, rose or purple. 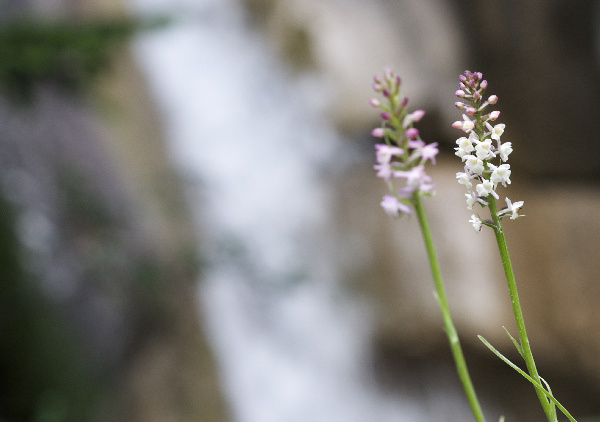 Plants with pure white flowers are rare. 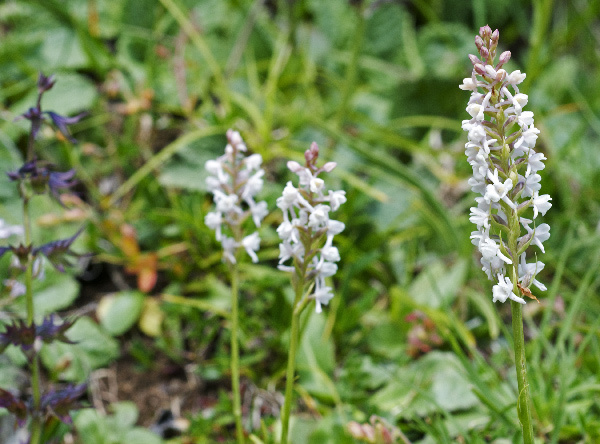 Gymnadenia odoratissima can be found on grassland in large parts of Europe and Asia, mostly in higher regions up to 2700 m. It flowers rather late, from May to August.